Afghanistan is one of the toughest places to live in. Ripped apart by years of war and plagued with droughts, floods and punishing winters, millions of people struggle to survive here. A third of the population live below the poverty line and half of all children here are chronically malnourished. 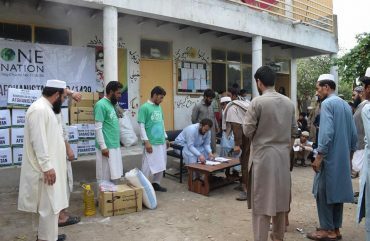 You can support the people of Afghanistan with a donation today, to help us distribute food parcels to the poor and needy who are suffering.